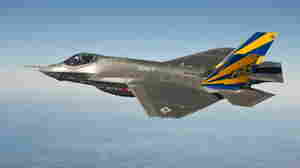 February 22, 2013  At an estimated cost of $400 billion, it is the Pentagon's most expensive weapons program. While ambitious in its scope, the program has had numerous stumbles. February 16, 2011  The vote to kill a fighter jet engine was further proof of freshmen Republicans' resolve. February 16, 2011  Even deficit hawks are finding it hard to cut spending and jobs in their own districts. An example getting a lot of notice this week is Speaker John Boehner's support for a fighter jet engine the Pentagon doesn't want. Making the engine provides thousand of jobs near his district.